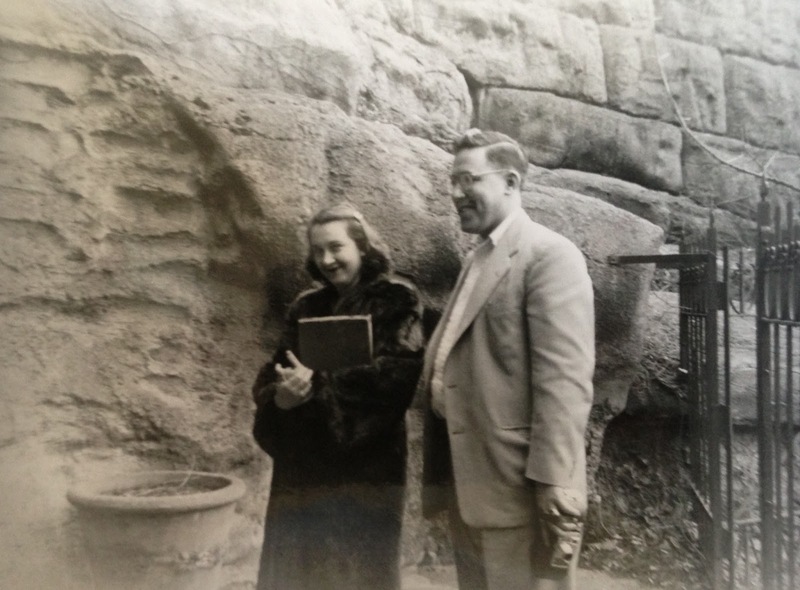 For most of their lives, my grandparents Chuck and Jean Lowry made trips to various shrines around the United States and Canada, from the far away (Basilica of Sainte Anne de Beaupré in Canada and Shrine of Our Lady of Fatima in Lewiston, New York) to the more local . With their two sons Chuck and Pat in tow (and nine more yet to be born! 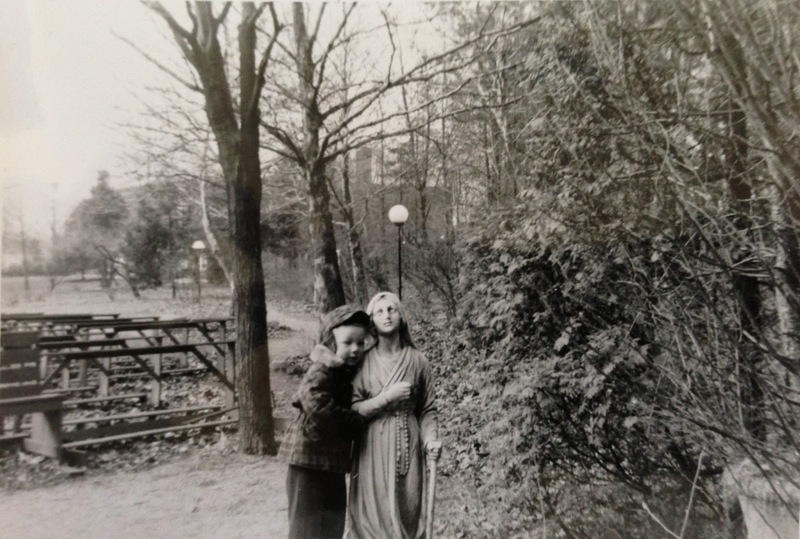 ), I believe this to be a trip to the Our Lady of Lourdes grotto in Mogadore, Ohio sometime in 1952. Jean and Chuck just inside the grotto. The unique stonework on the left was a telling sign when I went to identify the shrine. (See here for the grotto today.) Who took the photo? Maybe one of their parents or siblings? Photo from my parent’s collection. 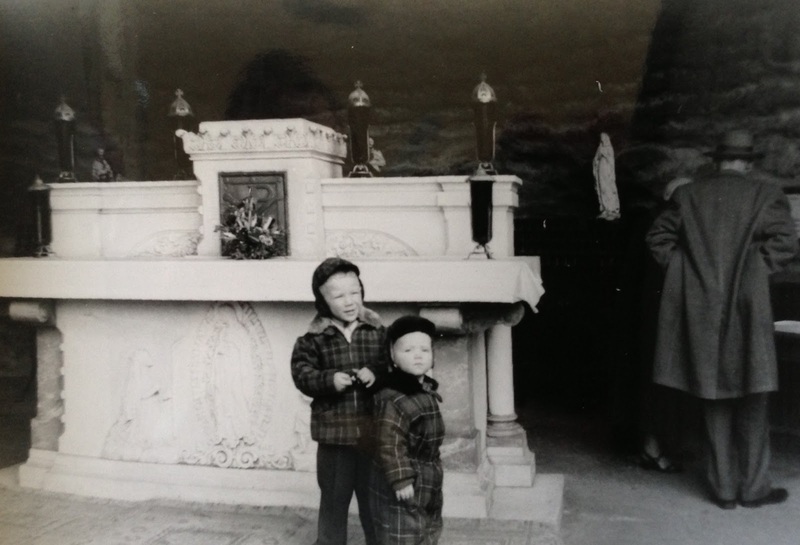 Chuck, left, and Pat in front of the altar at the Shrine. Photo from a my parent’s collection. Chuck next to a statue of Mary. Photo from a my parent’s collection. Wordless Wednesdays are a genealogy blogging prompt where I post photos – supposedly without any commentary, which isn’t very helpful for the reader, so commentary you shall have.